The county has received the first lot of interns following the 400 internship opportunities advertised in September 2018. The internship program is rolled out by the County in fulfillment of one of Tuga Tai’s manifesto agenda “to give the youths an opportunity to practice and sharpen their skills as well as getting relevant experience in their fields of specialization through internship program”. 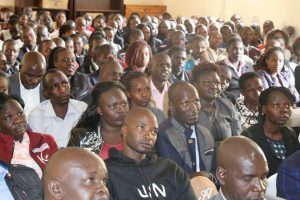 Interns following proceedings during an induction program organized by the county Government. The first batch of 200 interns reported yesterday. The internship program will be rolled out in two (2) phases each year and will cover six months. 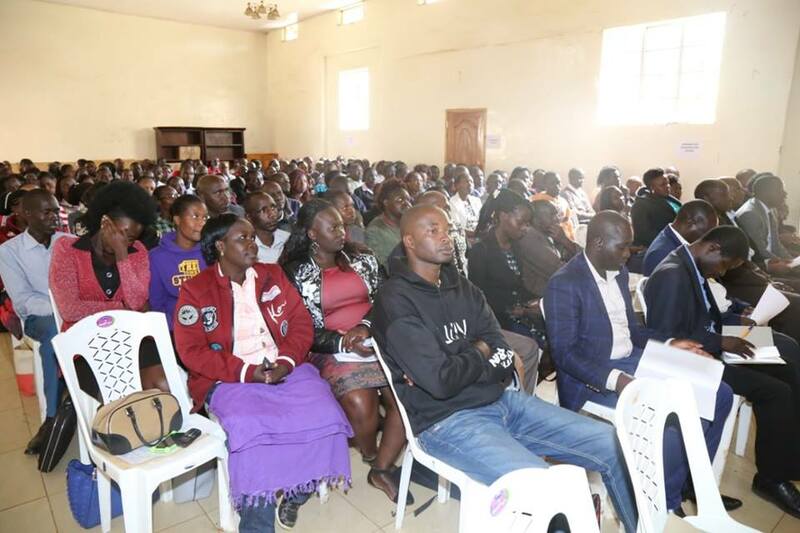 During the application process that was done online, the County Public Service Board received 3558 applications and managed to shortlist 400 applicants for the available opportunities. These 400 applicants have therefore been divided into two groups of 200 applicants and each group taking six (6) months internship period. At the end of six months ending in June 2019, the first set exits to give room for the next new set which will run from July to December 2019. Thereafter the internships are once again advertised for the year 2020. The first group reported today and went through an induction session organized by the Chief officer in charge of Public Service,Ms. Grace Sugut in a meeting held at the municipal hall. The induction process was also attended by Chief Officers and County Directors. The CECM for Administration, Public Service and e-Government -Ms Teresa Morogo, who chaired the meeting, emphasized on the County’s great determination in creating more opportunities for the youths to get exposed in the work environment and get experience in their career path. The interns will report to their various work stations from tomorrow. Tell us about achieving the big four agenda. Tuga tai blackmails, he should be concerned with those in rural areas too….